Retired Navy SEAL Clint Emerson conducted special ops all over the world for 20 years, attached to the NSA and the now-famous SEAL Team Six. 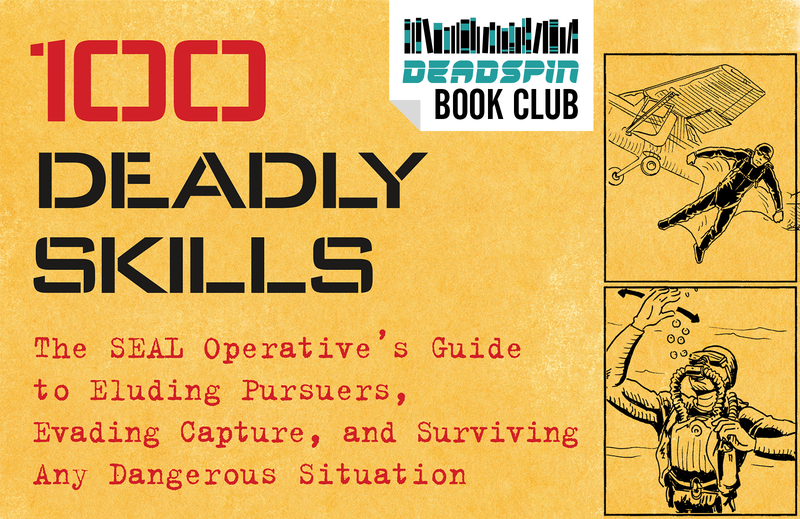 He learned some highly specialized skills along the way, and he’s now collected them into a fast-paced, pocket-guide entitled 100 Deadly Skills: The SEAL Operative’s Guide To Eluding Pursuers, Evading Capture, And Surviving Any Dangerous Situation. Here is a very important excerpt. Trained to execute daily assaults under any possible circumstance, Violent Nomads are well versed in the many forms of hand-to-hand combat—and they are always looking for the most efficient way to end a fight. The elbow is the hardest and sharpest point on the human body. When combined with momentum and a calculated angle of attack, an elbow strike can result in a knockout, breaking skin and causing serious injury. Though both punching and kicking can potentially knock out an opponent, elbow strikes offer more maneuverability when engaging combatants are in close proximity—and unlike punches, they can be employed in the all-too-common event that fights are ever taken to the ground. Proper body positioning begins with a bent elbow, with the active hand open and the thumb anchored to the chest. Keeping the thumb anchored to the chest prevents the arm from straightening while striking. The power in an elbow strike comes largely from the rotation of the core, with the elbow becoming the temporary holding spot for that momentum. Straightening the arm dilutes momentum and increases recovery time. The ulna, a blade-like bone that runs through the forearm, can be recruited as a secondary point of contact; keeping the hand open prevents the forearm muscles from constricting and enveloping the ulna, allowing the sharp and deadly bone to reveal itself. The takeaway? Aiming an elbow at the throat, temple, or chin will result in a strike with a good chance of stunning or seriously debilitating an opponent. Excerpted from 100 DEADLY SKILLS: The SEAL Operative’s Guide to Eluding Pursuers, Evading Capture, and Surviving Any Dangerous Situation by Clint Emerson. Copyright © 2015 by Clint Emerson. Used by permission of Touchstone, a Division of Simon & Schuster, Inc.